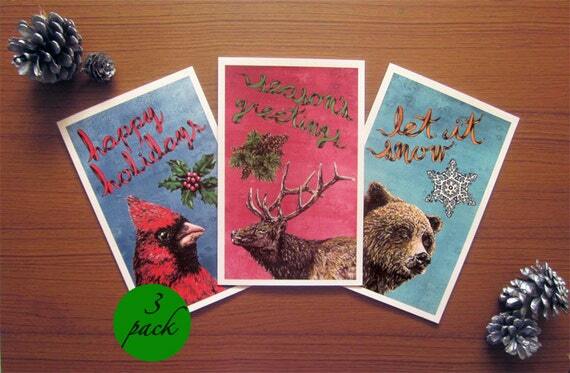 My holiday cards are now back in stock in the etsy shop! Hate to start sharing winter holiday stuff before you’ve even begun to eat Halloween candy, but scarily enough, Christmas is only 10 weeks away; so now is the time to start thinking about gift giving, letter writing and cheer spreading. All designs are available individually, as well as 3 and 6 packs. Happy Happy Joy Joy!